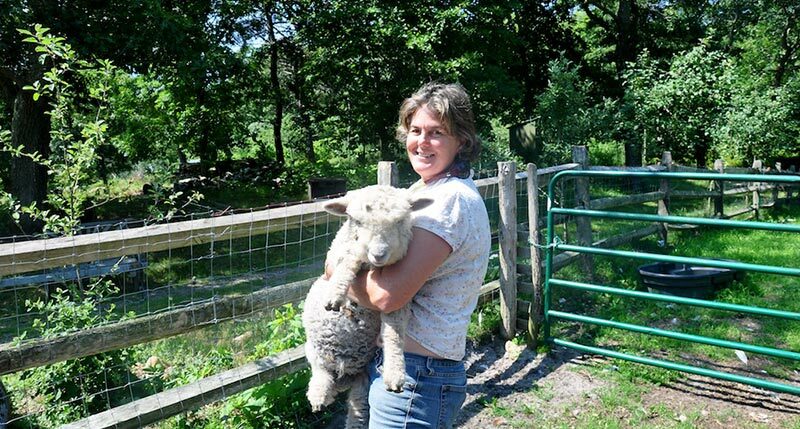 Spring Moon Farm began about the same time as kids came along in 1995, as the realization of a dream, a multi-generational, diverse family farm-homestead. Elizabeth Packer and her children Oscar and Lucy, see it as a joint effort, as a way of life, not a lifestyle, and one that can be done on one’s own terms. This 8-acre homestead farm raises mostly pastured livestock, sold as breeding stock, live animal or meat available at SBS, their family operated grain store. Elizabeth Packer and her family have a down-to-earth, almost poetic view of why they farm. It is by their own definition a system, a process, a joy and lots of sorrow. Farming is a humane experience for the farmers and the livestock, one lending to the other. No one thing stands alone, no one thing can stand alone, as the farmers support the farm and the farm supports the farmer. They believe in non-GMO inputs and have put their farm under APR restriction as open land for agriculture, for perpetuity. They see the farm as dynamic and scalable by season and resources, raising pastured poultry, lamb & beef. They sell breeding stock, live animal, as well as meat & wool products, cut flowers and veggie, herb & perennial starts, mostly through on-farm sales by appointment or through SBS, their family operated grain store in Vineyard Haven.